If you are an Indian residing in the USA, and your passport has expired, you might be getting panic attacks by now wondering what you will do next? Many of you may think how to renew Indian passport in the USA but some also know that one can renew their Indian password in the USA itself. 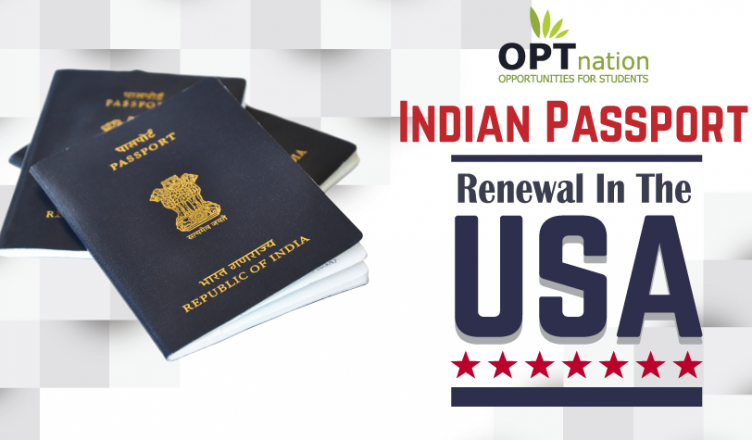 The Indian passport can be easily renewed in the USA. A step to step guide can be really helpful for you especially when you are about to deal with getting Indian passports renewed. An Indian passport is generally valid for 10 years since the day it was issued. The travel permit is issued for five years only for people under 18 years of age. There is some mandatory documents checklist which you are required to carry with you and it largely depends on the passport service availed by the applicant. Here are some more details on the Indian passport renewal in the USA. 3 recent color photographs (White background). 8 photographs are required in case the passport is expired for more than 3 years. See photo requirements. US Legal Status details – A notarized color copy of Green Card or Employment Authorization card or a copy of legal status in the US such as I – 797, H1B/ B1/ B2 Visa, whichever is applicable. Applicable Fee that is non-refundable. The checklist is an important document and holds a lot of value which will help you keep track of the documents required for your passport application. You need to print the checklist, tick it and arrange the application in that order before you submit the form in person or by post. All the applicants are required to fill i.e. the online application form online. You need to take a print out of the form after filling it for your own record. In the Nationality verification form, a photograph needs to be attached. Also, normally, only one such form is needed. In case the passport gets stolen or damaged or if the same happens with the passport application with expired visa status, 8 copies of Nationality verification form are needed. Ensure that the passport photograph is not less than 5 years old. If that’s the case, you need to attach the previous passport too. After that, attach photocopies of the first 5 pages and last two pages of the current passport. 3 recent color photographs have to be included in the application. 2″ X 2″ color, front-facing against a white background, check more photo requirements. You will be required to paste one photo on the first page of the online application form in the space provided. And the rest of the photographs need to be stapled to the last page of the application form. If you choose the mode of submission as “Shipping”, you have to send a document in the envelope at the consulate designated address. If you want your passport to be returned by mail, you need to include a self-addressed USPS express envelope in your application form. You must include the correct CKGS which generates its own shipping label that should be affixed to either a FedEx envelope or a UPS. Applicants need to attach documents that would prove their legal status in the US. Those who are in the US for a short stay e.g. Visitors or tourists cannot avail the passport services in the USA. Applicants should attach a notarized color photocopy of their current valid US visa such as F1 visa /H1B/ L1 Visa, EAD card or I-797 approval notice documents, whichever is applicable. Student visa holders’ need to attach the I-20 document. It is required of you to give proof of address as mentioned in your passport application. You can submit the following as proof of your residence. Notarized photocopy of the residential proof of the applicant such as Utility bills, State ID, Driver’s license, Mortgage Bill or Rental Lease Agreement. For applicants who are above the 60 years age and do not have the required documents, they can submit a copy of State ID. In the case of minors, the proof of address of the legal guardians would be accepted. Students who live on campus or dorms, an original letterhead letter with the address from their educational institution can be submitted. In case, the current passport doesn’t include your spouse’s name a notarized photocopy of the marriage certificate would be required. A copy of the spouse’s passport or United States ID would be required in the application. Also, note that you need to attach notarized affidavits to your passport application for different application criteria. In case your visa gets expired, or if you have the receipt notice for the visa extension, a notarized no status affidavit and notarized photocopies of the valid passport is required and the GC of two witnesses is a mandatory requirement. This is applicable only for San Francisco, New York, and Houston applicants. Atlanta, Houston, Washington, and Chicago applicants must go to the Consulate in person for an interview at their respective application center for applying. If the applicants are females, they will be required to include a notarized affidavit of change in name from maiden to married. In case, the female is divorced and then remarried, the spouse’s name should be replaced with the current spouse’s name. An affidavit for change of appearance and a current photo is required to update if the applicant’s look has changed significantly in comparison to the photo in the current passport. A notarized affidavit from the parents would be required to apply for the minor child’s passport. If the passport has expired for more than 6 months, the Houston applicants are required to get a notarized 4-point affidavit. The applicant would be required to get a letter of authority in case he/she chooses to send a representative to apply for the passport. The letter is required for the minor’s passport in case any of the parents is not present in person. Apart from the above-mentioned, some additional documents might be required and that depends on the kind of service you require. Also, you can check with the Consulate/Embassy or the Passport application center in your jurisdiction if more documents are needed or not for your Indian passport application. Step 1: Identify the consular jurisdiction in which you want to apply for the passport services. Step 2: Go to the Link: ‘PASSPORT Application – Get Started’ to start your passport application process. Step 3: Fill in the widget questions to check your eligibility. Step 5: Fill the complete supplementary forms and letters. Step 6: Upload Photograph / Signature and check specifications before uploading. Shipping through CKGS – send a completed application (all documents & complete payment) through Shipping. Walk-In – to continue filling your ‘application’, complete the ‘Appointment Process’. Step 8: Payment – Payments must be made Online by Credit Card. Step 9: After Payment, click the link to go to the Government of India Online PASSPORT website. Register and fill complete details. On the CKGS website, we have given you a sample of how to fill the Government online PASSPORT form. And avoid mistakes while filling the form. You will get a NEW APPLICATION REFERENCE NUMBER from the Government Online NRI passport application. Step 10: After Completion of the Government of India Passport form, please go to CKGS website. On the CKGS website home, click on the ‘Already Filled in Government Online NRI form and continue the process’ box and fill in the ‘New Web Reference Number’ received from the government site along with your Passport Number and your Date of Birth, to continue the passport application process. After completing the online application process, submit your physical application via shipping or walk-in option as you selected to the CKGS Indian Passport Application Center as per the Jurisdiction of your application. Arrange all forms, letters, and documents in the same order as mentioned in the document checklist. Check that the number of documents, original and copies, whether they have been notarized or self-attested as indicated on the checklist. Tick off the boxes on the checklist(s), as you have the documents in the envelope of your Application. Enclose a copy of the document checklist in your envelope. Remember that your application process will ONLY commence once your physical application is received by the CKGS Indian Passport Application Center, failing which the application cannot be processed. If your case is referred for clearance then the processing time may increase to 6 Weeks or more. Lost and Damaged Passport: Minimum 3 – 6 weeks (If details are not traceable then the process may take up to even 3 months or more). Regular Processing Time: 6 to 8 weeks. If your case is referred for clearance then the processing time may take 4 additional weeks. 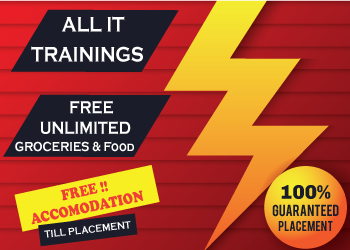 How to Write a Resume That Will Help You to Get Jobs in the USA? ‘TATKAL’ is an ‘Emergency’ service which applicants use to expedite the processing time on any type of passport service. It is subject to approval to apply under ‘TATKAL’ from the Consulates of India in the USA. Steps to apply for a TATKAL Service. All relevant documents, letters, and forms as per the document checklist. Step 2: CKGS will coordinate with the Embassy/Consulate for approval as to whether the applicant can apply under TATKAL Processing based on the nature or reason of emergency. The reason for Tatkal request must be to the satisfaction of the Embassy. Once CKGS receives the Embassy’s confirmation, you will be confirmed by email. The approval from the Consulate/Embassy usually takes 1 to 2 business days. If the applicant will not be able to justify the reason for Tatkal Process request, the application may not get approved and the case application will undergo the regular application process. Step 3: On the receipt of Tatkal Request approval from the Consulate, the applicant can apply the Tatkal Application process on the CKGS website. Give a thorough read to and follow the steps diligently as no mistake would be tolerable in such scenarios.